MPLN's integrated oncology specialty testing offering now includes Next Generation Sequencing assays (NGS) for solid tumor. The new panels will address Lung, Colon, Melanoma and unknown primary 8 gene panel with soon to be released Gastrointestinal Stroma, Glioma, Ovarian, Renal and Thyroid solid tumor panels. 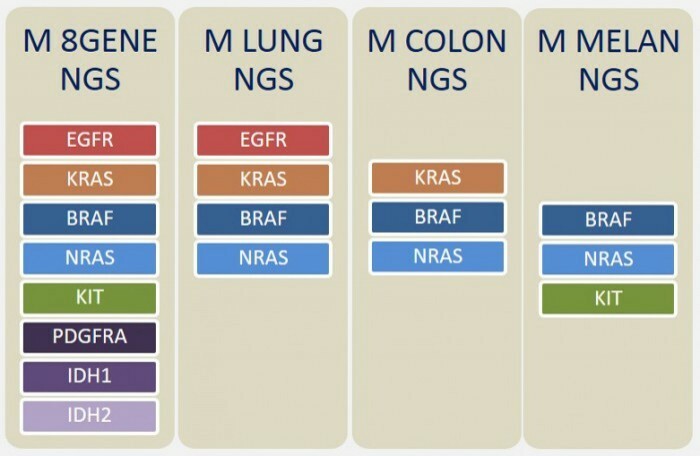 MPLN’s Solid Tumor panels targets key regions of 8 genes identified by the National Comprehensive Cancer Network (NCCN), College of American Pathologists (CAP), and American Society of Clinical Oncology (ASCO) as having clinically actionable somatic mutations in solid tumors. Although many genes are somatically mutated during carcinogenesis, few of these mutations have confirmed prognostic or diagnostic importance. Since key mutations in each gene have been identified through clinical trials, this targeted enrichment panel focuses on only those relevant genomic locations, providing greater sequencing depth to detect variants at lower minor allele frequencies. The panels maximizes reimbursement by including only those actionable genes identified in clinical guidelines and thus are ideal for the workup of clinical specimens.